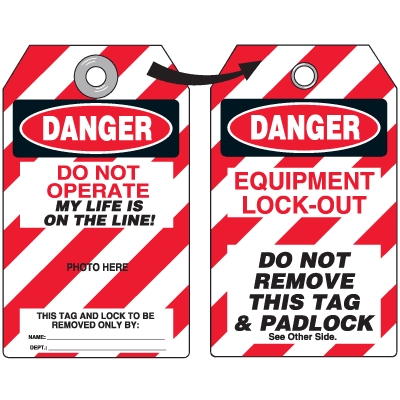 EQUIPMENT LOCK-OUT. DO NOT REMOVE THIS TAG & PADLOCK. SEE OTHER SIDE.